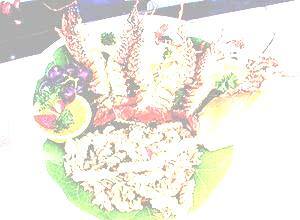 Substitute large lobster tails for crayfish if you cannot find any. The yield is about 1 cup. In a bowl, combine all the ingredient for the rub. Add the lobster tails to the rub and coat well. Grill over medium heat for about 7 to 8 minutes a side, turning once.